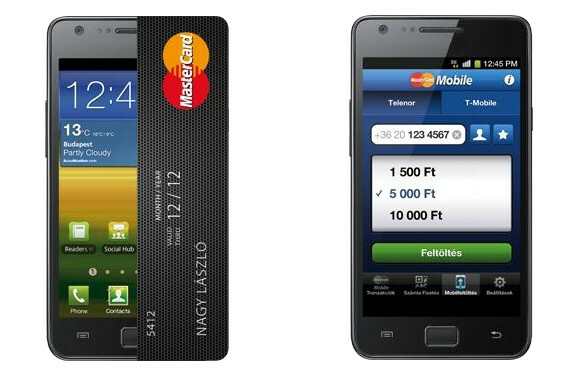 Cellum Group, a Hungarian firm which develops mobile-payment solutions, announces that their “MasterCard Mobile” service has attracted 100,000 users. This mobile-payment service was launched as an app and now allows users to make payments at almost 200 merchants with their mobile devices. For the moment, Cellum is focused on dominating the Hungarian market, but says that they will eventually take the service international and will offer it abroad through large banks and their telco partners. Cellum allows users to make payments with their mobile devices, but presents itself as a more-secure alternative to traditional payment system. This service is similar to that which we covered earlier this year, Russian MOBI.Money, which allows users to transfer money and make payments using their mobile devices. Cellum also allows users to top-up their prepaid cards and use them as a sort of bank account, but also enables them to make payments by scanning QR codes and to make purchases by entering their (the user’s) phone-number. The company bills this service as a fraud-proof system, as being able to make a payment by using only the phone number allows the user to avoid sharing any sensitive bank-account information. As the name suggests, the MasterCard Mobile service was developed in conjunction with MasterCard, but Cellum also collaborated on this project with companies like T-Mobile, Telenor, and FHB Bank. Cellum Group was founded in 2000 and expanded internationally in 2011 by opening offices in Austria, Bulgaria, and Albania.